The determination of tin in canned food became very important in the last few years since it gives information about the contamination process helping to increase canned food quality and safety. The present work describes the development of a method for the determination of tin in canned tomato paste by electrothermal atomic absorption spectrometry in order to investigate the influents of (1) the industrial sample pretreatment procedure of canned tomato paste and (2) the type of materials used in packaging, on the total concentration of tin in canned tomato paste samples. For method validation, precision (repeatability and reproducibility) and accuracy (by recovery tests) have been assessed as performance criteria. The calculated recoveries ranged between 87.9% and 91.9%. The calculated expanded uncertainties based on the EURACHEM/CITAC Guidelines achieved from three different concentration levels were also calculated. The obtained results indicated that the method is efficiently and properly implemented. 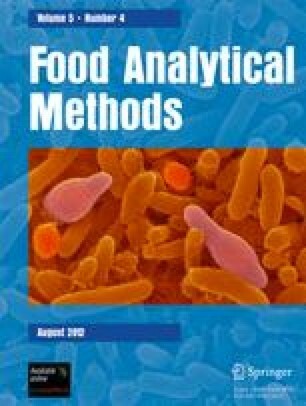 The validated method was applied for tin concentration determination in canned tomato paste purchased from the local market. In all analyzed samples, tin concentrations levels were lower than the maximum permissible value recommended by the European Regulation.